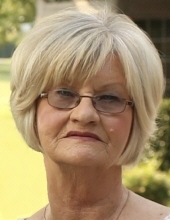 Joyce Ann Worley, 74, passed away on Saturday, February 9, 2019 at 07:30 am at her daughter’s residence in Pounding Mil, VA with her daughter Cheri being by her side. Joyce was born on January 29, 1945 at home in Buchanan County. Joyce was a longtime employee of Keen Drilling and Gasco Drilling from 1981 until 2005 being employed as an Accounts Receivable and Payroll Time Clerk. She was a graduate of Garden High School. Joyce above all things loved her children and grandchildren always going without and going the extra mile to see that they had everything and anything they ever wanted or needed. Upon retirement Joyce loved gardening having an extra passion for her rose bushes with yellow being her favorite rose. Joyce loved freely, caring deeply for her family and close friends and even creating a special bond with two small Havanese dogs, Jaxx and Molly, who returned that love. She was preceded in death by her father, Wallace Burlin Keen; her mother, Polly Catherine Vandyke Keen; one sister, Peggy Lou Keen. Lois White (husband Joe) of 50 yrs. of Kill Devil Hills, NC, Freda Rasnake (husband Randall) of Paintlick, VA; Joyce is also survived by many nieces, nephews, and close friends. A Celebration of Life for Joyce will be held on Saturday, February 16, 2019 beginning at 3:00 pm at Community Heights Baptist Church, 160 Steelsburg Highway, Cedar Bluff, VA with Pastor Tim Brown officiating. During the Celebration of Life any family or friends that would like to speak or share fond memories of Joyce may do so. Online condolences may be sent to the family by going to www.SingletonFuneralService.com. The family of Joyce Ann Worley is in the care of Singleton Funeral Service in Cedar Bluff, VA.
To send flowers or a remembrance gift to the family of Joyce Ann Worley, please visit our Tribute Store. "Email Address" would like to share the life celebration of Joyce Ann Worley. Click on the "link" to go to share a favorite memory or leave a condolence message for the family.